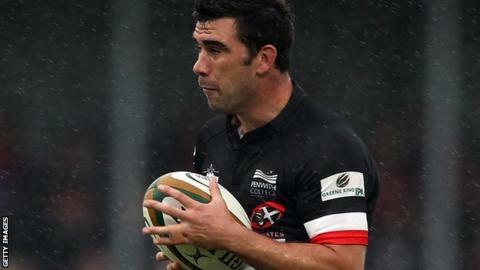 Cornish Pirates have agreed a new contract for Welsh centre Tom Riley. The 28-year-old has made 58 appearances since joining Pirates in 2012 and has now agreed a new two-year deal. Director of rugby Ian Davies said: "Tom has been one of the standout centres in the Championship since his debut with us. "With him committing for the next two seasons, we are securing a number of exciting talented players for the squad." The announcement comes with Pirates having recently extended the contracts of 19 other squad players for the same two-year period. Meanwhile, the club have confirmed that Ben Prescott, Gary Johnson, Kyle Marriott and Angus Sinclair will all be leaving the club this summer, along with Junior Fatialofa, who is to retire. Additionally, long-term team manager and kit man Chris Rendall will also step down at the end of the season. Davies added: "Those who are departing leave with thanks for their quite considerable input and with best wishes for the future."